Belsebuub’s Searching Within printed book began as material that formed part of a course in esoteric knowledge he wrote in 2000. It was later separated and compiled into a free online course specifically in self-knowledge in 2001 called “Searching Within,” which became the most successful online course of its kind in the world at the time, and was taken by tens of thousands of people over the following years. The Searching Within course was structured with weekly topics and practices that guided the reader to an in-depth understanding of themselves. It was a hands-on guide, with topics and practical exercises such as self-observation and being in the present moment through awareness. These techniques allowed readers to learn through experience how to see and understand problematic or challenging inner states, and to reap the benefits of developing their consciousness such as improving interpersonal relationships and cultivating spiritual feelings of peace, happiness, and care for others. Belsebuub first offered the Searching Within course in 2001, with the course material being sent to participants via email in a downloadable PDF format. It was originally structured as an eight week course. Belsebuub continually revised and updated the Searching Within course content over the many years that it was run, for example extending it from eight to nine weeks by expanding upon the information it covered. The Searching Within course was structured so that the week’s exercises complemented the information being given. For example, if the weekly topic discussed the importance of relationships for spiritual development, the practical exercise for the week would be to observe how anger functions inside oneself, as this common emotion was something that affected everyone’s day-to-day relationships. The Searching Within course was extremely popular. Participants who took the course reported that they were able to understand themselves in a way they had not previously, resulting in corresponding changes in behaviors and thought patterns they considered to be harmful, and improvements in their life to do with greater happiness, fulfillment, and purpose. Tens of thousands of people took the Searching Within course over the years that it was offered online and in person, downloading the free PDFs that went along with it. Unfortunately, not all individuals who downloaded the free PDFs used them ethically. Some people, seeing how unique, practical, and popular Belsebuub’s Searching Within course was, decided to either take parts of the course and directly plagiarize them online, or to repackage the course material for their own purposes. Many times this was done without crediting Belsebuub as the original source and author of the content. While Belsebuub had always given his work without profiting from it in any way, there were many examples where his work was plagiarized and used to promote for-profit businesses, or repackaged and sold as the author’s own work. Not only was this a copyright infringement of Belsebuub’s intellectual property, the rampant plagiarism compromised the integrity of Belsebuub’s work, as rather than being provided in the structure and order that Belsebuub had created, it was used in parts and removed from its source. People passing Belsebuub’s work off as their own in order to sell it also went against the spiritual principle of providing spiritual information without profit. To protect the integrity of Belsebuub’s work, the original material from the Searching Within course was revised and updated to prepare it for release as a printed book, and the PDFs were removed from circulation. Once revised and updated, the content from the Searching Within course was released as a paperback book titled The Peace of the Spirit Within. It was first published in 2006 by Belsebuub’s publisher at the time Absolute Publishing Press. Belsebuub did not and has never received any royalties from the sale of his books. The Peace of the Spirit Within was sold as close to cost price as possible and the small margin made on book sales was used by his publisher to print and promote his books to a wider audience. 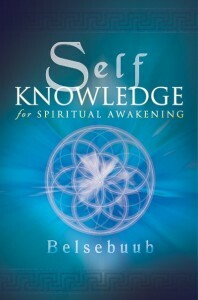 With the rise in popularity of smartphones and e-readers, in 2011 Searching Within was released as an eBook in both EPUB and Kindle format on Belsebuub’s website where it could be freely downloaded under the title Self-Knowledge for Spiritual Awakening. This eBook was downloaded over 18,000 times before again having to be removed due to plagiarism in January 2016. 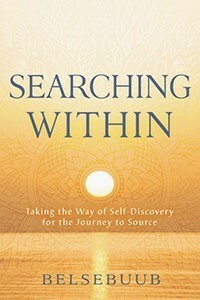 The book was further revised and re-released in print in 2017 with the title Searching Within: Taking the Way of Self-Discovery for the Journey to Source. As the course grew in popularity and the number of forum questions increased exponentially, a team of qualified teachers began answering questions from participants in order to keep up with the demand. We had plans to release the eBook when we had created this Searching Within website, however our plans for its release have changed and we have now updated the eBook page. We do stil plan to release the Searching Within eBook, however we do not have a set date. Thanks for the update Jenny. I look forward to the release of the eBook when it’s ready and in the meantime very much look forward to the new books that Mystical Life Publications are currently preparing. The upcoming collection of Belsebuub’s talks sounds like a great project, which should contain some real gems of wisdom. Thank you Jenny for the update. To tell you the truth, I’m currently enjoying reading this book from the printed edition and don’t really miss the electronic one, but I’m sure the ebook when will come, it has its own potential and can reach more people. This book is fantastic! Thanks for putting it together in paperback, it’s hard to put down. Are there any courses offered at all anymore??? How is the newer generation suppose to grow? Thanks for leaving the comment and for your interest! The courses have not been run for many years now. There are links to lots of different sources of information and inspiration however on the page about Belsebuub here that you might be interested in having a look at. Like David has mentioned the courses are no longer offered, but the Searching Within book is being formatted for print right now and will be available in the coming weeks. We expect the the book to be released in late August or early September.